The station W2ZQ was buzzing with scouts and their families for JOTA. 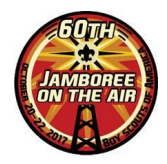 The Jamboree on the Air is designed to expose scouts and others to the amazing technology and hobby of amateur radio. Contacts where made throughout the states, Canada and DX using our HF rigs. Scouts and visitors where able to listen in on the QSO’s using our headphone distribution amps until their turn came to be “On The Air”. Collectively the DVRA introduced over 90 visitors to the technology, fun, and magic of Amateur Radio, which is our primary goal for this event. Thanks especially to the six club members who helped us that day, Mario, N2HUN; Martin, W3PR ; Gary, K2GW; Hy, AB2VG; Dom, N3DD; Brenton, KC3JLN; and four TCNJ Students, Brian, KD2OJA; Dan, KD2OIV; Eli, no call yet; and, KD2OJH.